What are some of your favorite mobile apps for social good? • All for Good: A Craigslist for Service (Socialbrite)Kim Bale was recently the community outreach specialist for The Extraordinaries. Follow her on Twitter at @balekimb. Thanks JD, you're very kind. While we're on the subject, do you know of any apps or other free/cheap tech resources that people can use to find other do-gooders and organizations in their neighborhood? Here's an example of "asset mapping" using Google Maps. * I'm hoping there are easier tools that even non-geeks could use. Very cool, thanks! Would be great if you could ping me when it's done, on the off chance that I miss it. You're sleeping on Pricecheckah. It uses the great RedLaser barcode scanner, but gives you results from Amazon, eBay, walmart, overstock, buy.com as well as Google. It even let's you put in your own stores. Thanks for compiling such a great list! I'm a CauseWorld addict! Super excited for their product coming in June. Great list – thanks for including Snap Impact. I love their app! wow, great blog, will be returning for much further reading to gain more info on this subject. Thanks – keep up the great work! You should also consider favsmile.com mobile app. Share and search anyones favorites to try to make people smile. 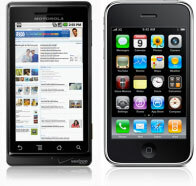 some mobile aaps of 2011 are best but Top Mobile Applications for 2012 must be better. So checkout the Top Mobile Apps for 2012 here. Might want to check a new one, http://www.GiveMobiley.org. Rather than texting for donations it allows supporters to scan a QR code which loads the organization’s app on their device. From there they can easily donate with PayPal or a credit card. It’s available free, too. Very nice post about mobile applications. This will improve our mobile using experience.